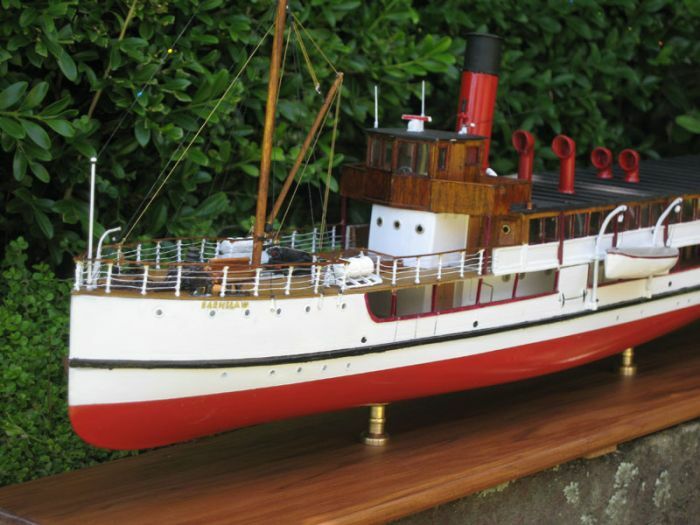 Here is my latest model completed in last few days, this vessel is still sailing a over 100 years old. 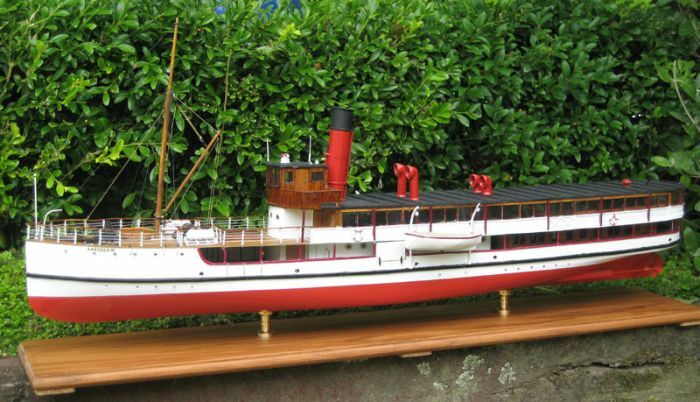 She Was built in Dunedin then dismantled and transported to Lake Wakatipu some 180 kms away. She still runs on coal with two triple action engines. The Model is 21 inches long at a scale of 1/100. 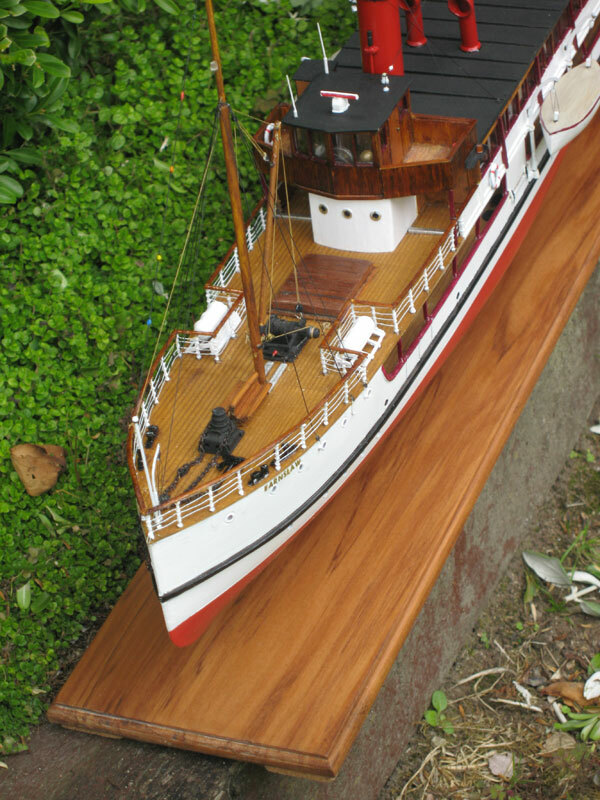 Lovely boat, and the model's not bad either.